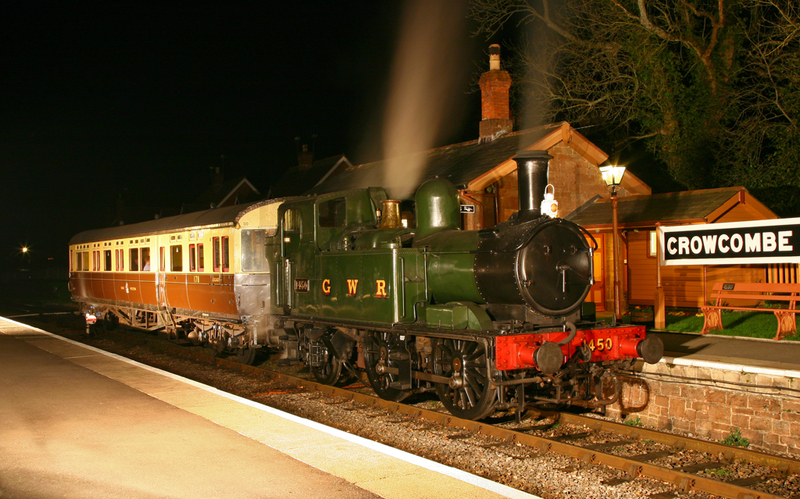 'The GWR Autotrain' featured GWR 0-4-2 No.1450 with Autocoach No.178. 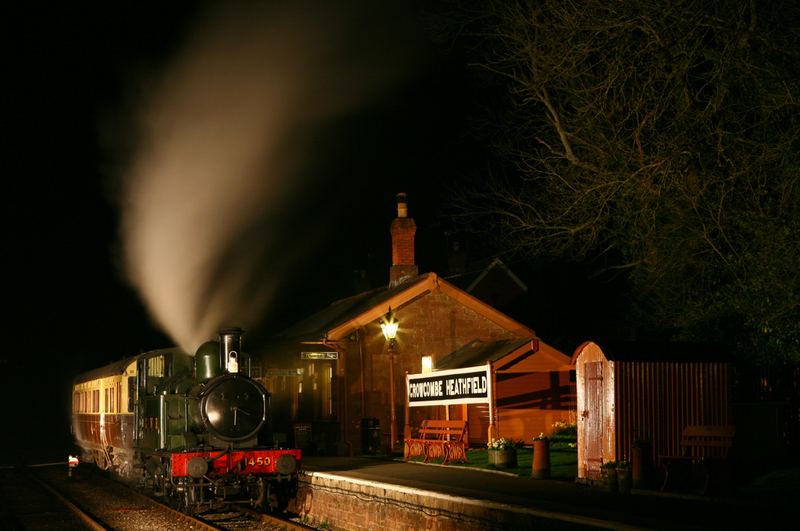 The evening photo shoot took place at Crowcombe Heathfield Station on the 24th March 2012 at the West Somerset Railway. 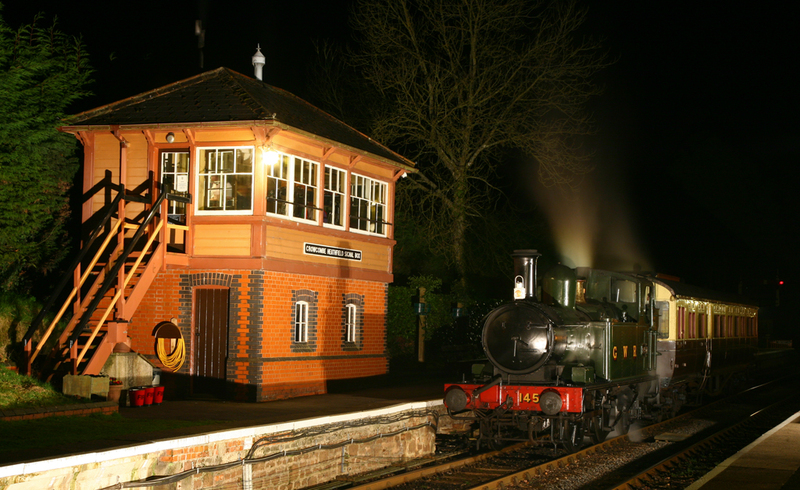 It was held during the Saturday night of the 2012 Spring Steam Gala weekend. 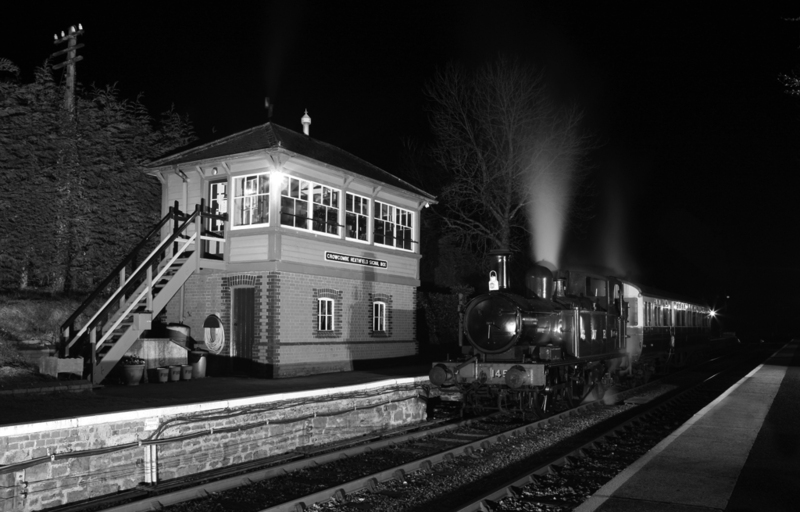 Around 20 photographers attended the event with light refreshments served by the Crowcombe Station volunteers. 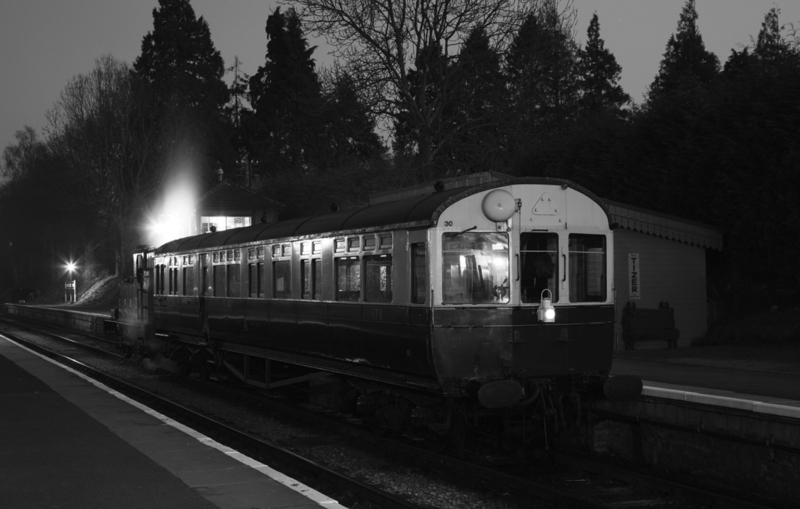 Autotrains were a familiar sight on Great Western branch lines, and Crowcombe Station was the perfect setting for such a night shoot.